A powerful collection of upbeat and dynamic rock and folk songs with unique lyrics inspired by the hopes and struggles of real people. Compassionate and inspiring. 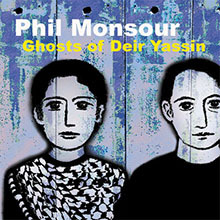 Backing Vocals Ghosts of Deir Yassin: Simon Monsour, Marina, Njemere, Elsha, Angelique, Edie, Anisa, and Aleea.